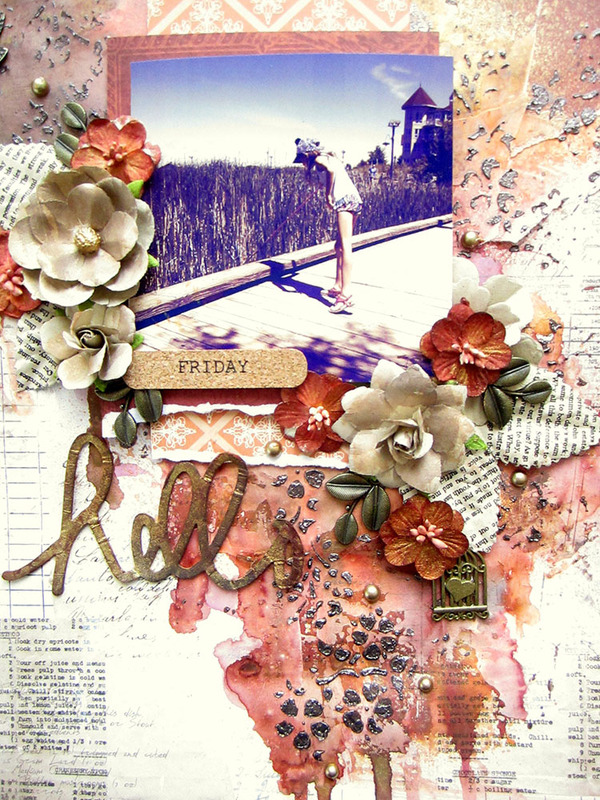 Our theme this month is Vintage and you can create anything with a Vintage theme. I used this photo of my daughter catching frogs by the pond. 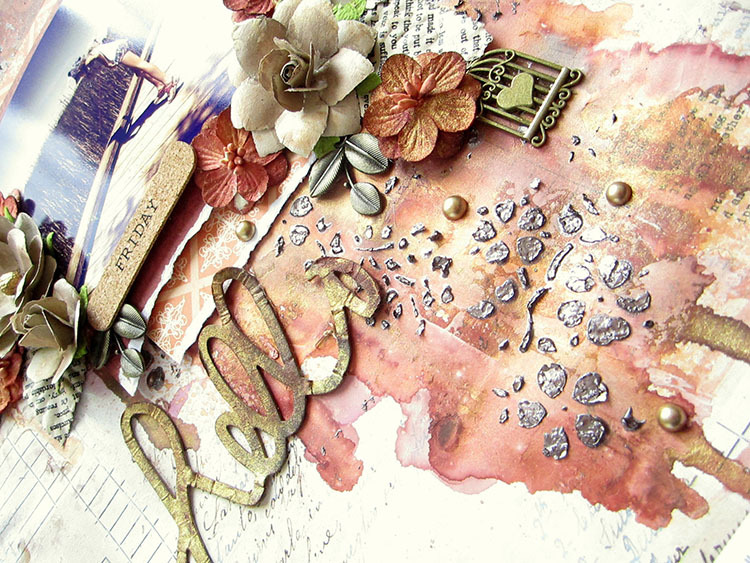 I created a vintage feel around the photo using earthy tones and metal charms from Scrapberry’s. I used the leaves and cage with hearts charms. I used two different papers from the I love cooking collection: Recipes and Home Pickles. Then I added lots of texture and sprays to match the colours of the papers. Keren your layout is lovely. What fabulous colors. What fantastc embellishment you used. The flowers, the cage with the heart, the texture, a dragonfly.. Gosh I love it. And using the lovely pic of your adorable daughter "frogging" makes the layout even more precious. Gosh..you are creative and so very talented. Thank you for sharing your creativity. You cant imagine how much inspiration I soak from your art. 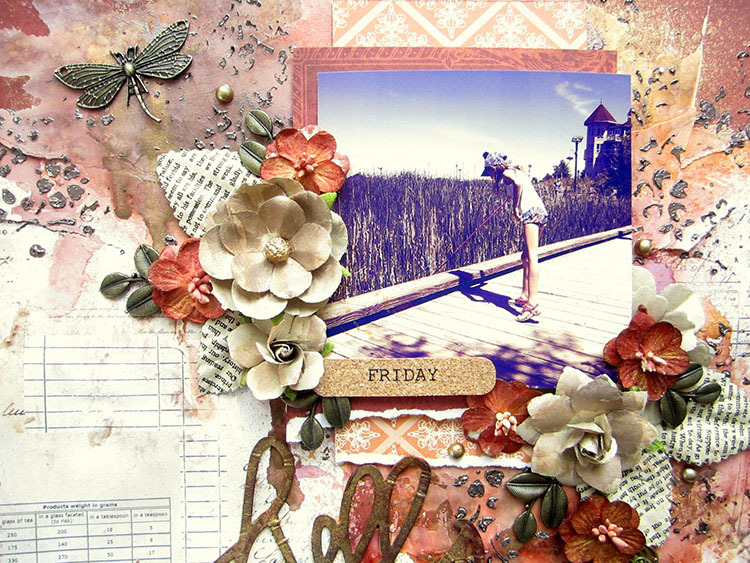 Another gorgeous layout – and the photo is adorable! Your colors are awesome – and the flowers around the photo are lovely.